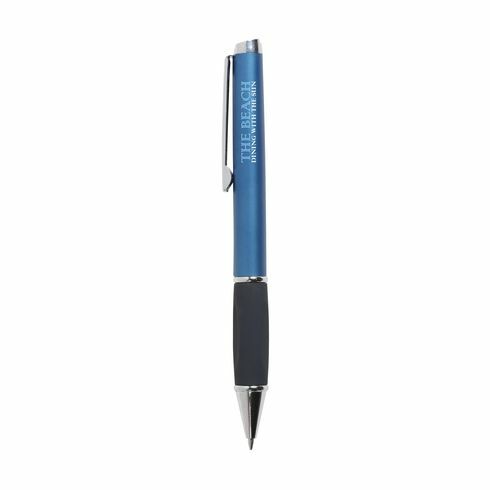 Blue ink ballpoint pen with ~ comfortable grip ~ metal clip ~ twist-action tip. Nice weighted pen! Bright colour writes well too.